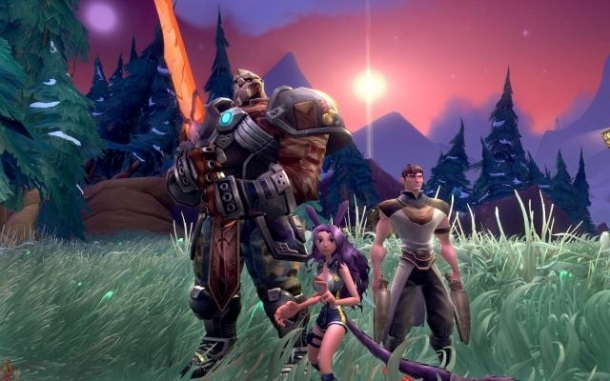 Wildstar is a Sci-Fi MMORPG, where you create a character and evolve it through dangerous adventures. You can play alone and with other players and explore the different areas the planet Nexus has to offer. As the game is still in beta, you can Sign Up for Beta by accessing the official website. Classes are the general fighting style of your character. From hand to hand combat to spellslinging, these will determine how you play when it comes to combat. While all the races are unique in appearance, your faction will determine which races you can choose from. Paths are a role outside of the characer's race and class. Instead of having the same story for wach character, player's path determines how they will play the game and help their faction. By purchasing a sky plot from one of the Proto-star specialists, you can start with simple designs and build up a more complex environment inside your home.